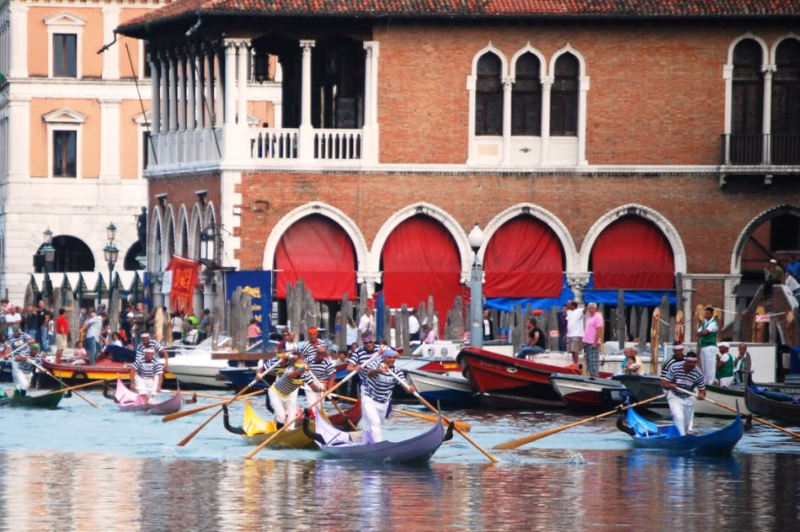 On Sunday, September 3rd, on the occasion of the historical regatta, the most important event of the annual calendar of venetian style rowing competitions, will be held the traditional and famous historical parade, one of the most beautiful reenactments of the glorious past of the Serenissima. 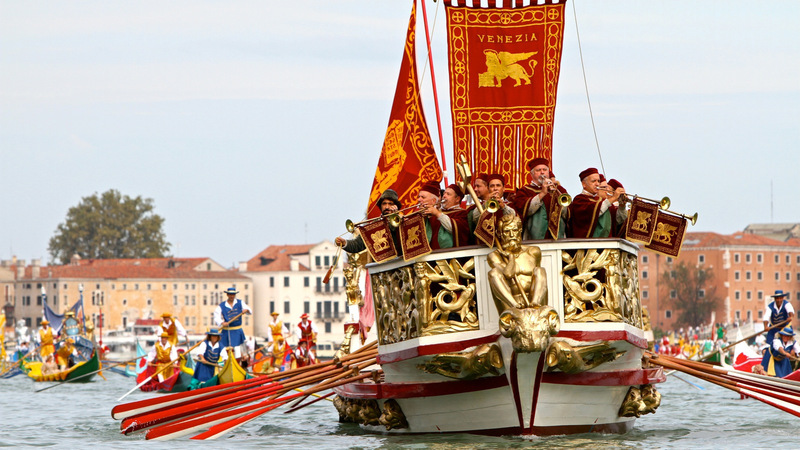 The Parade along the Grand Canal, start from 16:00 on Sundays, dozens and dozens of typical boats of 600 century with on board Gondoliers costume and figures of the Doge, the Dogaressa and all the highest offices of the Venetian judiciary. To be truth the celebrations will open already on Thursday, August 30th when, in “ Campo della Salute” at the foot of the magnificent church of “ La Salute” , the 2 oars “ Gondolini” will be blessed, those are the boats whose race is certainly the most exciting and passionate: starting from the basin of San Marco, after passing the Spagheto at the height of the gardens of Sant'Elena, the Gondolini with on board the champions of each district , rushing along the Grand Canal and after the turn of the pole of Cà Vendramin, in front of the railway station of Santa Lucia, will conclude the race in front of the famous Machina, a scenographic floating stage placed in front of the palace of Cà Foscari. -The international rowing challenge of the universities, on 8-oars galleons. 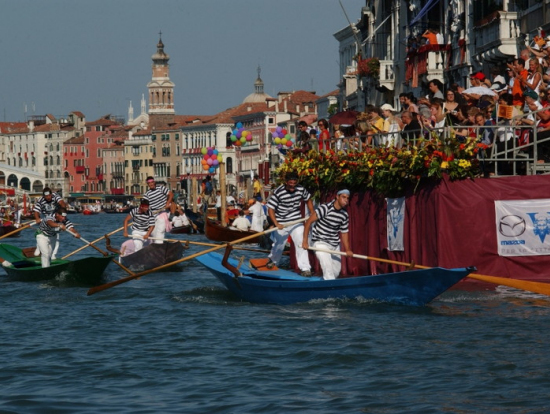 Curiosity: The term regatta is of uncertain etymology. It probably comes from the Latin aurigare (competing), used and attested from the sixteenth century as a synonym of race, until it means ‘competitive competition on boats’.